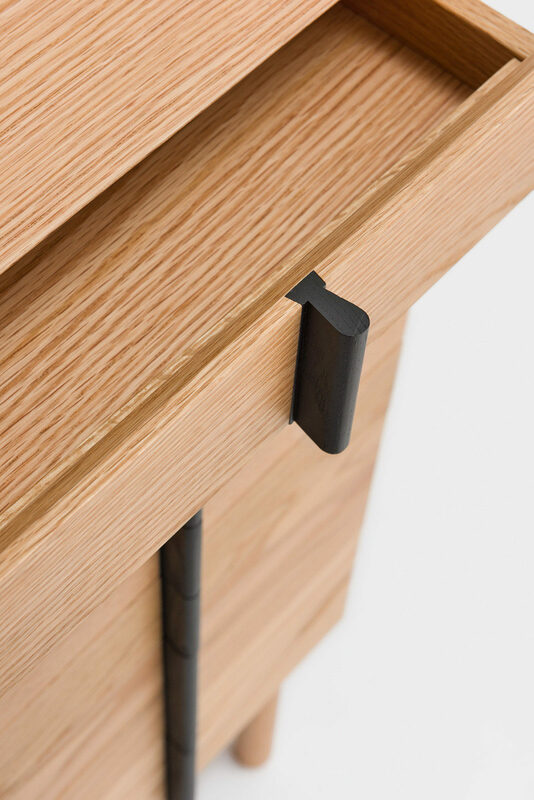 The defining character of this chest is the handle of the drawer, which is attached via a dovetail joint. 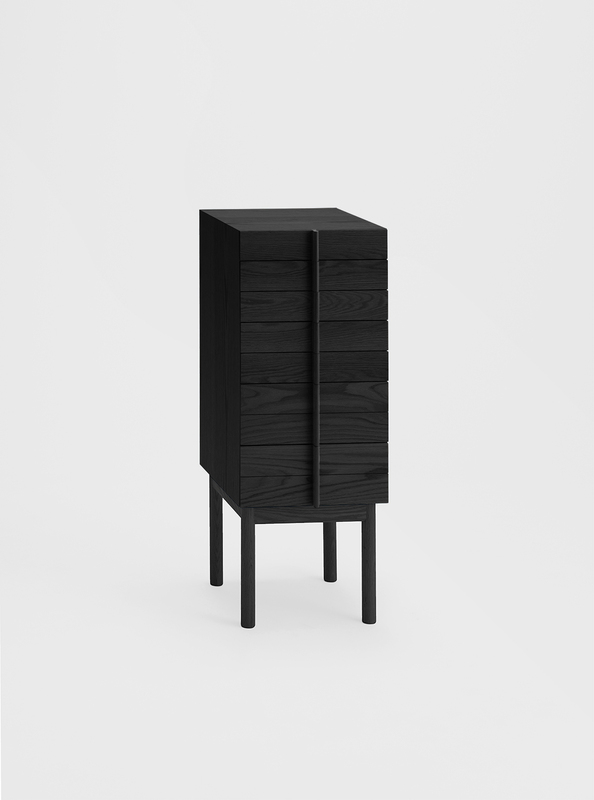 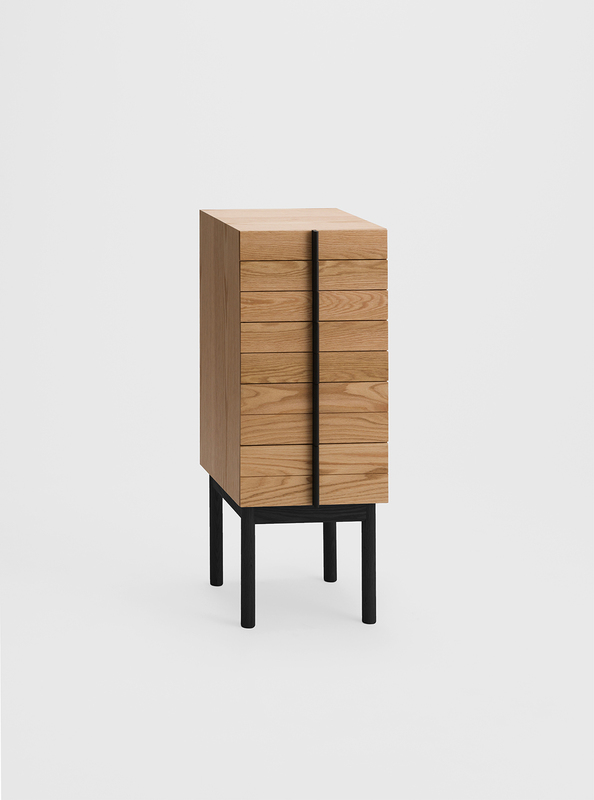 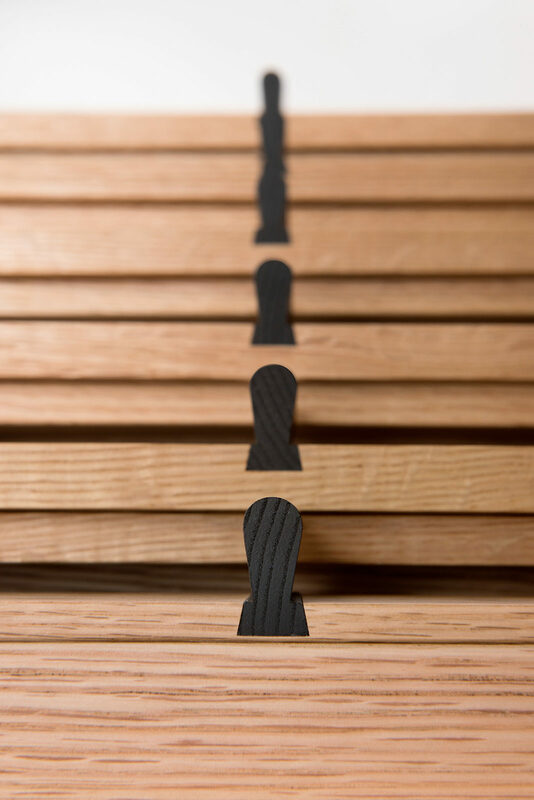 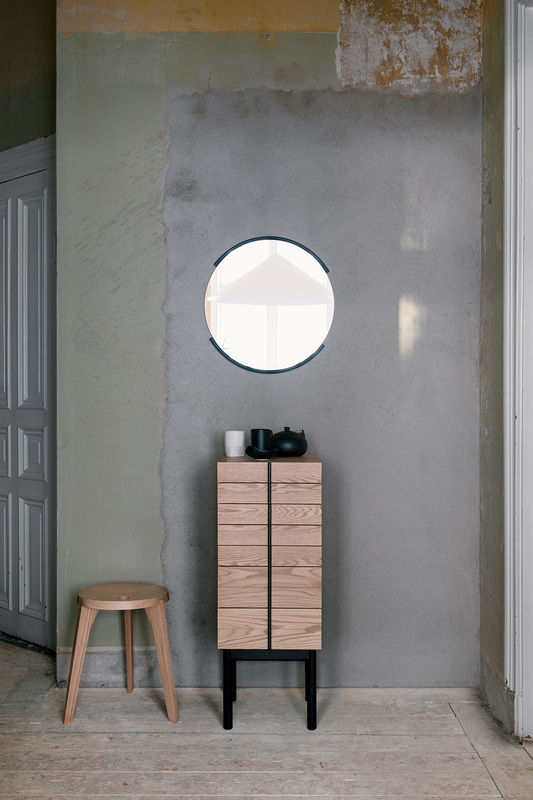 The handles align vertically when all drawers are closed and form a single vertical column. 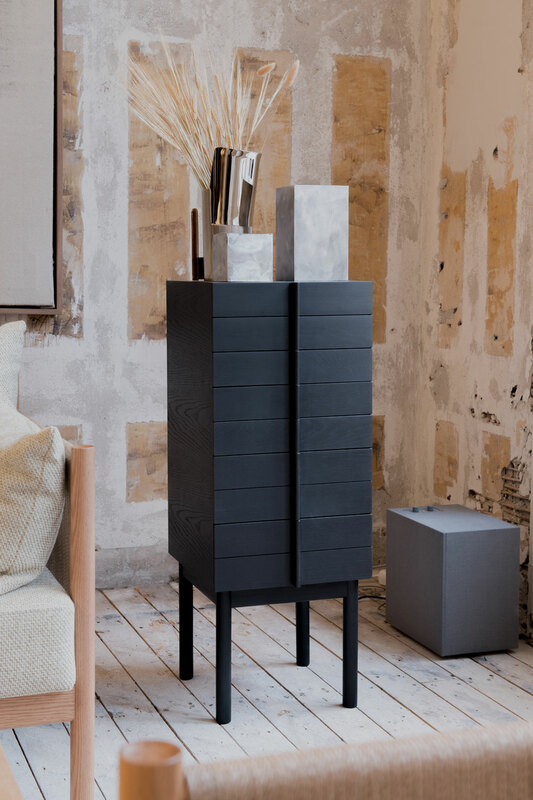 The smaller drawers are perfect for storing jewellery, watches or other precious belongings, while the drawers at the bottom are meant forlarger items. 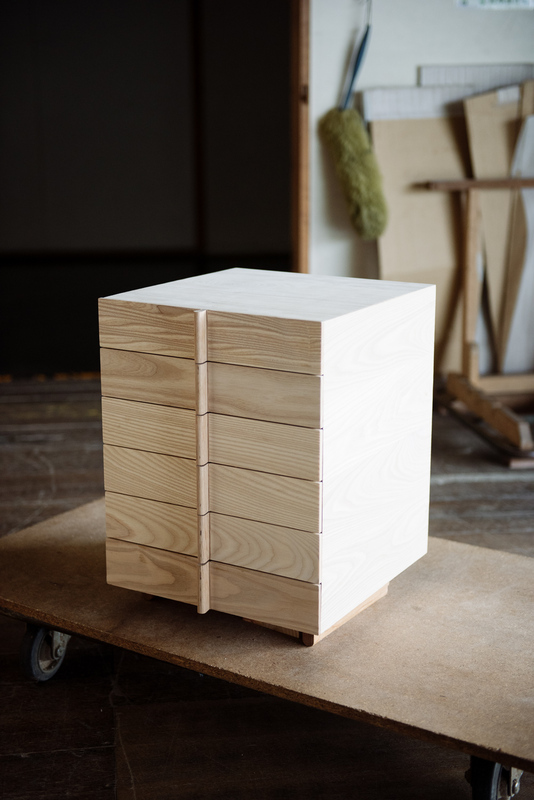 The chest is liftedsubstantially off the ground for comfortable use.